When choosing plants, Kay thinks first about what might benefit the birds, insects, animals and other wildlife. “I still grow roses, but not tea roses. And I do have many native plants because there are many insects that rely on them,” she says. Insects are an important food source for many birds as well as the toads, dragonflies and the occasional bat that frequent the front yard pond in summer. For more than 20 years, Kay has been responsible for promoting, installing and monitoring nesting boxes for Eastern bluebirds in her neighborhood. These iridescent blue beauties are one of the loveliest birds to make their home in the area during the summer. She was motivated to take action when she discovered that bluebird populations had been declining for decades because of habitat destruction, as well as competition from sparrows, wrens and other birds, disease and predators. “These birds once nested in the cavities of dead trees or in old fence post holes, but people cut down their trees so we need to provide nest boxes,” she says. With the help of many Scout troops, she has set up nesting boxes in her subdivision, throughout the golf course, at local schools, along Frankfort’s Old Plank Trail, in the Frankfort Square wetlands, and in many other spots. She jokingly calls herself a dead-tree advocate. “I like to arrange dead trees like sculpture. You need to have them for wildlife habitat.” She says the dead trees (some of them left standing while others are branches and trunks piled on the ground) provide habitat or food for mason bees, woodpeckers, mice, chipmunks, toads and beneficial insects. When a neighbor’s 200-year-old oak tree came down, she had large pieces moved into her shade garden where native perennials such as trillium, spring beauty, Virginia bluebells, wild geranium, Solomon’s seal, green dragon (Arisaema dracontium), ginger, bloodroot and woodland phlox carpet the ground. 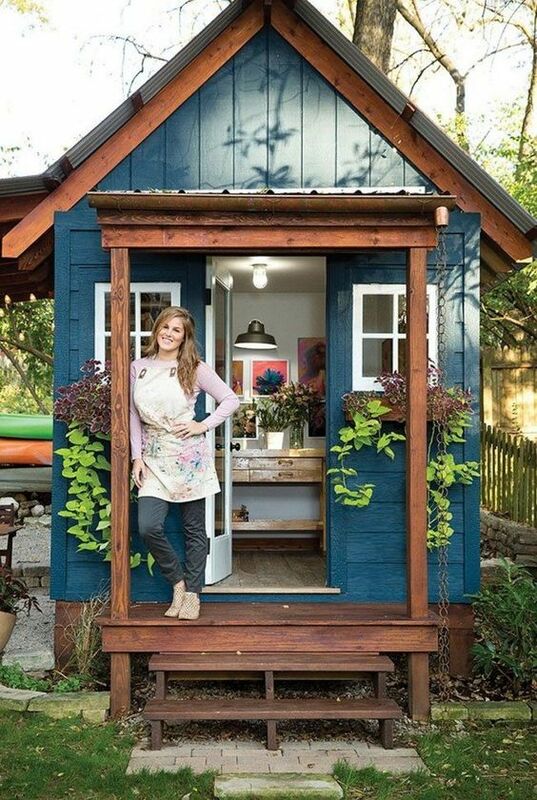 Her greatest gardening challenge was discovering that the previous owners of her property had placed heavy plastic topped with several inches of gravel in many areas of the front yard. “We couldn’t remove all of it so I began adding soil and chopped leaves so I could plant on top of it,” Kay says. All of the soil additions and amendments have paid off. “I have some Jack-in-the-pulpit that gets some honkin’ huge flowers,” she says with a chuckle. She grows pipevine (Aristolochia), a shade-tolerant vine with heart-shaped leaves and inconspicuous saxophone-shaped flowers because it’s a host plant for the pipevine swallowtail butterfly. When she spots the caterpillars munching the leaves, she puts the stems and larva in a jar and brings them indoors. This requires adding fresh leaves every few days. “I like to grow caterpillars in big pickle jars and then release the butterflies. There were eight caterpillars in another jar last summer chomping like crazy. I love how you can hear them eating!” Elsewhere in the garden, she grows large clumps of dill, a host plant for other swallowtail butterflies, and milkweed for monarch butterflies. A sunny part of her garden, which she calls “my roots garden,” is devoted to many plants from her parents and grandmother. Her mother’s queen-of-the-prairie and pink New England asters grow near the pond. She has her father’s Concord grapes, which he grew from a cutting, and her grandmother’s ostrich ferns. In a dark, dry spot, yellow-flowered corydalis thrives alongside her mother’s blue bellflowers. In another bed, she grows plants from a friend who has since passed away. A stone path, called “the friend’s path” runs alongside. The backyard holds roses and lemon dayliles from her mother and poppies once grown by her grandmother. There’s baptisia, Rudbeckia maxima, liatris, and a catalpa tree that was grown from a seedling given by her father. Prickly pear cacti, concolor fir, wisteria and hibiscus are some of the ornamental plants in her backyard. She also grows the annual hyacinth bean vine and salvia to attract hummingbirds. “It would be too hard to name favorites. I have one of everything. I’m a plant collector,” she admits. Two types of climbing hydrangea and several clematis vines scramble up trees, walls and arbors. A former art major, Kay designed an iron trellis that provides support for ‘Mrs. Cholmondeley’ clematis. Some plants appear on their own. “Ants carry seeds of bloodroot, and now they’re growing alongside the house. Scillas and spring beauties appear in the grass. There’s meadow rue that just blew into the backyard about 15 years ago, and a now-large, blooming tulip tree seeded itself there 17 years ago. I also get lots of violets in the grass and I move them into the rock garden.” Violets are a host plant for the fritillary butterfly. “Kay is very involved,” Steinman says, “and if a volunteer is needed, you can always count on her.” And so can wildlife. Who hasn’t long admired the intent of rain gardens: to create a landscaped basin where rainwater running off impervious surfaces can gently seep back into the earth instead of rushing into the storm sewer, picking up pollutants along the way. It’s just that more often than not, despite our best intentions, rain gardens end up a wild and weedy, kidney-bean-shaped mess at the end of a downspout, without any relationship to the surrounding landscape or the house itself. Jeff Epping, Olbrich Garden’s director of horticulture, agrees wholeheartedly. Too often, rain gardens look like “a pothole in the bluegrass,” he says. Always looking for ways that the botanical gardens can inspire and educate its visitors, Epping set out to show us how attractive rain gardens can be. Some of his favorite ornamental rain garden plants include Joe-Pye weed (Eupatorium purpureum – recently renamed Eutrochium purpureum), swamp milkweed (Asclepias incarnata), great blue lobelia (Lobelia siphilitica) and cardinal flower (Lobelia cardinalis). Right plant, right place takes on special importance in a rain garden. Here, plants must be able to tolerate both periodic flooding and drought. Rain gardens are depressions with gently sloping sides. Often they are bermed to help retain water. They aren’t intended to have standing water for long periods of time, but the plants at the bottom of the rain garden must be able to tolerate wet soils and even submersion. Olbrich’s rain garden next to the herb garden occasionally fills to the top. It usually drains within three days, Epping says. The bottom of this rain garden is planted with moisture-loving plants such as dark-green bulrush (Scirpus atrovirens), sweet flag (Acorus calamus), tufted sedge (Carex elata) as well as the more ornamental swamp milkweed, great blue lobelia and cardinal flower. Towards the top, Epping has added other plants that prefer to keep their feet drier such as blue vervain (Verbena hastata), foxglove beard-tongue (Penstemon digitalis) and turtlehead (Chelone glabra). Red-twig dogwood (Epping likes Cornus sanguinea ‘Cato’) and elderberry (Sambucus nigra) can handle the wetter levels of the rain garden. Higher up, Epping likes to incorporate hydrangeas, arborvitae (he likes the narrow, columnar ‘Hetz Wintergreen’) and witch hazel (Hamamelis vernalis) along the perimeter. During a recent garden tour in Missouri, Epping discovered that red buckeye (Aesculus pavia) grows along streams there. Already a fan of this small tree’s showy panicles of red tubular flowers, Epping is eager to incorporate more of these into Olbrich’s rain gardens. Epping also likes to incorporate bulbs in all his gardens – and the rain gardens are no exception. He plants camassia lower in the rain garden because it’s one of the few bulbs that can tolerate wet conditions. Near the perimeter, he plants narcissus and Anemone blanda for early-season color. “It’s important to make a rain garden feel like it’s part of your overall landscape. It should work seamlessly with the landscape around it,” Epping suggests. For instance, one of Olbrich’s rain gardens borders the rose garden. There, Epping has repeated roses, daylilies, salvia and Stachys monieri ‘Hummelo’ – all plants used in the rose garden – along the perimeter of the rain garden. In the rain garden next to the herb garden, he’s incorporated a variety of herbs. Rain gardens are a great way you can contribute to improving the water quality in your community. They can intercept much of the rainwater that pours off your roof and paved surfaces and channel it back into the ground where it helps recharge the aquifers. By capturing runoff before it reaches the storm sewer, rain gardens also help keep pollutants such as landscape chemicals and debris out of the water supply. Rain gardens can even help manage local flooding issues. All those benefits can make a lovely impact on our environment. Now, thanks to Olbrich, even skeptics have to concede rain gardens can be a thing of beauty, too. by State-by-State Photo by Susan Randson. The dappled willow is an interesting shrub with mottled green and cream leaves and shrimpy-pink new growth. When pruned into a large standard, it is an especially interesting shrub. Willows thrive in full sun but demand a deep watering – especially in extreme heat. Keep your pruners handy if you want to maintain a smaller size, or sculpt this willow into a standard. If you don’t keep it in line, it can mature up to 6 feet tall and as wide. Look upon it as “living” sculpture. Brilliant lime green foliage glows among the darker greens of summer. Mark Maradik, from Pasquesi Home and Gardens in Lake Bluff, recommends the dogwood shrub, ‘Garden Glow’. “It will be the bright spot in a partially shaded garden with its yellow-green foliage.” White flowers appear in early spring, followed later by berries and burgundy-red leaves in autumn. Bright red stems remain for winter display. It is perfect for smaller spaces at a compact size of 2-3 feet tall and wide. ‘Garden Glow’ is disease and insect resistant and cold hardy from Zones 2 to 7. Imagine seeing camellia-like double flowers blooming in your Midwest garden in April! This deciduous Japanese quince reinvents an old favorite. Jill Bondi with Midwest Groundcovers stresses its finer points. “… Midwest hardiness, double flowers, deer resistance, thornless stems and fruitless. The flowers also bloom inside the branches to create a unique and beautifully shaped shrub.” The Double Take Series is even drought and heat tolerant, once established. Choose from three bright, velvety colors: orange, pink and scarlet. Plant in full or part sun, but more sun brings on the most blooms. It’s 36-48 inches tall with a dense, spreading habit. Elegant, flowering branches are perfect in a vase, too. Zones 5 to 8. This shrub was developed by Roy Klehm in the open fields at Beaver Creek Nursery in northern Illinois. Initially, its hardiness was proven in trial gardens where it was the lone survivor of a seedling planting. In mid to late May, the Ironclad viburnum offers cymes or clusters of creamy white flowers. Summer-green, 5-inch leaves show off prominent veining and give these shrubs its rough texture. Red fruits change to black in fall as leaves change from green to burgundy. It thrives in an acidic, moist but well-drained soil in full sun to partial shade. Hardy, disease and drought resistant, viburnum shrubs provide excellent cover and food for birds and butterflies. It matures to 15 feet tall and 12 feet wide in Zones 4 to 7. ‘Sem’ is one tough cookie. After our last winter, gardeners should be very interested in a hardy shrub such as this. Its parents came from tough Russian stock that originated in the harsh climate of the Ural Mountains in Siberia. Little ‘Sem’ is a combination of two larger Sorbaria selections, but don’t be fooled by its visual delicacy. In spring, fern-like leaves emerge in shades of pinkish red. Later in summer, the foliage changes to a chartreuse green with a brush of bronze red on the leaf tips. After that, all leaves turn darker green and become the background for creamy white plumes. “The plant looks like a mix of spirea, astilbe and mountain ash,” states Jill Bondi, marketing manager at Midwest Groundcovers in St. Charles. “Its orange-red fall color is exquisite!” ‘Sem’ matures into a compact and rounded habit 3-4 feet tall and wide. It thrives in partial shade and needs a fertile soil with good drainage. This adaptable plant attracts butterflies while being deer-resistant. It suckers lightly, so keep an eye on it. Don’t be afraid to hack it back in spring. Plant in Zones 2 to 7. Hooray, April is here! Yes, the calendar says the first day of spring is in March, but we all know it’s April when we really see signs of life in the garden again. From the chilly northern regions to balmy climates, plants are coming out of their winter dormancy and ready to get the party started. If you’ve been following our previous months’ garden goals, you’re more or less prepared to hit the ground running. 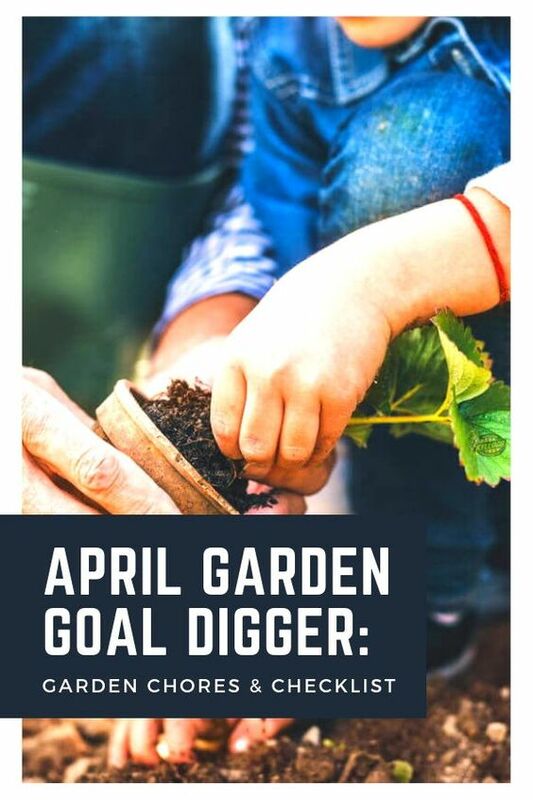 But even if you haven’t, there’s still time to get caught up before the garden season is in full swing — using these goals as your reference. Complete one last inspection of your garden tools and make sure everything is repaired and in good working order — you don’t want to find out that your hose has a hole or your shovel handle is about ready to break when you’re planting all your veggies! Remember those goals you made last year to start a new bed or decrease the size of your lawn? Now’s a great time to start prepping those areas so they’re ready for planting soon. Do a quick run-through on your irrigation system — each zone should turn on, all heads should be operating properly, and the timer set for your new watering schedule. Stay on top of weeds. Weeds like nothing better than to bask in the warm sun and take up space — don’t let them get out of hand or your new seedlings will be choked out. Start transplanting your seedlings. All of those veggie and flower seedlings that you lovingly tended in the cooler months are ready to go — check with your local garden center for recommended times for transplanting them in the garden. Get your veggie garden going. If you didn’t start your own veggies from seed, go ahead and buy transplants from the garden center. Follow your area’s planting schedule closely, always keeping an eye on the weather. Some plants, like tomatoes, will have difficulty setting fruit if they are planted too early or too late. Continue pruning with a purpose. It’s easy to get caught up in Spring Garden Mania, at the ready with clippers and pruners, but please resist clipping just for the sake of clipping. Pruning should always be done with a purpose in mind — to remove suckers or dead/diseased growth, to control shape, or to encourage healthy growth and flowering. Have spring-flowering shrubs or trees? Wait til after they’ve bloomed to do any light pruning. Be prepared to cover and protect. Have row covers, freeze cloth, clothes, tarps, or sheets on hand for those late season cold snaps. Where we live, we almost never get a freeze after March 1, but this year, it happened. Luckily, we quickly protected our tender tropical plants and everything was toasty warm with no freeze damage. Be on the lookout for garden pests and diseases. Aphids, beetles, thrips, and cutworms can do quite a bit of damage seemingly overnight at this time of the year. It’s good to do a garden inspection every couple of days to identify any possible problems. Remember to look under leaves, along stems, at the base of the plant, and where new growth is emerging — these are all favorite hiding places for damaging insects. Schedule your first lawn fertilizing. Most areas of the country can apply their spring lawn fertilizer around the middle of April — hold off, though, if you live in a colder growing zone. The soil temp should be 55 degrees or warmer with new grass growth emerging. Use a fertilizer with a higher first number (for nitrogen) on the package, such as a 20-5-10 mixture. Turn your cover crops. If you planted winter cover crops, be sure they are turned into the soil 2 weeks before planting time. Plant your patio container gardens. Use high-quality soil specially created for containers, and plant spring-blooming annuals like petunias, violas, pansies, alyssum, snapdragons, gerbera daisy, impatiens, and dianthus. The annuals you plant now will vary by region and growing zone — in my area, pansies are a winter annual, but in cooler zones, they are a spring bloomer. Replenish your bird feeders. Invite feathered friends to your garden by placing bird feeders and bird baths nearby. Set up your hummingbird feeder as well, and remember to put a fresh mixture in every few days (especially as the weather heats up). Host an outdoor gathering to herald spring’s arrival, with your garden as the backdrop. Invite family for a BBQ or, if it’s still a bit chilly where you live, light a fire in the fire pit and have neighbors over for happy hour. Don’t forget Easter is a few weeks away — perfect timing for a friends and family Easter egg hunt in the garden! Color affects your mood, so remember that when you’re shopping for seasonal color at the garden center. Hot colors (red, bright pink, yellow) uplift, cool colors (purple, lavender, soft pink) soothe, high contrast colors (orange/purple, blue/yellow, or any color with white) energize, and monochromatic colors (all shades of any one hue) calm. Sit back and enjoy. Sure, we know it’s a crazy busy time in the garden, but what’s the garden for if not to feed our souls? At the end of a hectic gardening day, take a moment with a cold beverage and enjoy what you’ve created.